Mark began the business in the summer of 1989 as a young boy with a lawn mower going door to door. In the last two decades the company has grown every season, by operating on old fashioned principals of integrity, reliability, loyalty, quality, and customer focus. Mark is a life long resident of Broomfield Colorado and his family was one of the founding farming families of Broomfield. The Brunner farm was located near 120th and Sheridan. The Brunner Farm House is now a historical site near Midway and Main. 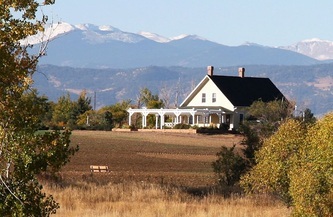 The farm house is now used by non-profit groups in conjunction with the city and county of Broomfield. Mark is on the board of the Brunner Farm House committee. Mark takes great pride in the city and people of Broomfield and enjoys giving back to the community at every opportunity. 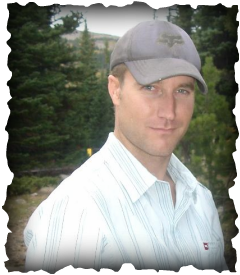 Growing up on a farm, Mark has a unique understanding of agriculture in Broomfield and applies this unique knowledge to all your lawn care needs. Mark received his B.S. from Regis University in 2003 and has over 26 years in the lawn care industry. Brunner Lawn Care is proud to volunteer it’s on going time and experience to help maintain the gardens at the Brunner Farm House park near Midway and Main in Broomfield. Visit brunnerhouse.org to learn more.